Spent a few hours down south of Israel today - at the Beersheba (Be'er Sheva nowdays) Commonwealth Cemetery .... found the experience very moving ( that's bloke speak for certain ammt of blinking of the eyes and repositioning sunglasses ) - hell of a long way from home - to die. Didn't really know much about the NZ WW I involvement here in Israel / Palestine so did a bit of background reading - some good info here - a big operation - heavy NZ & Australian presence. Being a good Blenheim boy - knew of Major General Edward Chaytor - the NZ commander - still family around although their big old house burnt down some years back - the flaxmill on the way to Rarangi - if you're from around there. Turns out my Grandfather - on Mum's side - who was a saddler from Featherston - was in the NZMR - but I believe was in Jaffa. There is an IDF Musuem in the old Jaffa Railway Station but it was closed yesterday - will visit another day. Anyway some photos of the Cemetery - took shots of all the NZ graves if anyone wants someone in particular - there is a good link above to the individuals. Majority of the graves are Welshmen, Brits, Scots & Australians - well kept - but means very little to the local Israelis - shame, as it is part of their history too. Lt William Johns - Teacher from Te Awamutu - wounded at Gallipoli - returned to NZ - married - then back to Palestine - where he was killed. RFC Connection - aerial recon played a role. There is also a Turkish Memorial close by ...and an Australian Light Horse one - but didn't find it. Old Turkish Railway Station - and a recent bust of Ataturk. As I say - really makes you appreciate how serious training / leading and equipping NZ troops to the best of our ability is - a real responsibility. I'll be down there ANZAC day - even if no one else is - tremendous respect for these guys and their sacrifice. Any of Peter Dalton? He was in Wellington mouted rifles. No - do a little research - Name, Rank, where buried ? Sorry, he was buried at Jerusalem War Cemetery, Israel. It's written by my brother. Reigns solely in the breast of every man;"
Run by Steve Butler and his team, it's a wealth of knowledge on all things NZMR and he runs a forum as well. Many thanks for posting these very poignant photos John. Ever since seeing the excellent film The Lighthorsemen (1987) I have had a bit of an interest in the campaign there in Palestine and its surrounds. And particularly the NZ involvement. I have a few interesting books, one called Allenby's War about the whole campaign there under General Allenby. Also Kia-Ora-Coo-ee I think it's called, which is a compilation of all the weekly newspapers of the ANZAC Division there in the Middle East for 1918. Some interesting stuff within that, though mostly it's social stuff. I also have the excellent book on the Waikato Mounted Rifles by my good mate Richard Stowers. A number of the men from Cambridge served in the Mounted Rifles and in that desert campaign. The battle at Beersheba was a very impotant victory for the Allies and I think it is superbly depicted in The Lighthorsemen. I really think that film is excellent. The scenes of the Lighthorse charge are electrifying. The battle was also dramatised in an episode of Young Indiana Jones, which used scenes from the film with additional material from another angle. Thanks McFly, Paddy & Dave - will get some more reading in on the Palestine campaign - and love the NZMR website - a wonderful resource. I just realised, it's interesting that there is a bust of Turkish leader Ataturk in an Israeli town. What is the actual significance of the erection of this monument if only recently? Did the locals quite like being under Ataturk's rule? Thanks Dave - there are some downloadable books on the NZMR website as well - small donation. The Turkish monument is dated 2002 - which was when the Turkish - Israeli cooperation was at its height. Turkey & Israel are / were allies recently and there was a lot of joint military activity. Great photos John. 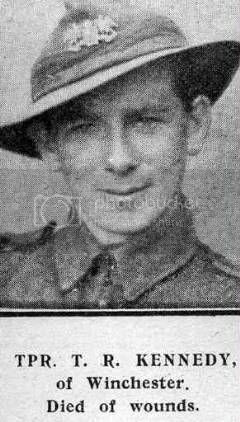 My previous girlfriend had a Grandfather who was at Gallipoli then Palestine and was in the Canterbury Mounted Rifles. He was on his horse in Palestine when a German shell landed nearby and he got blown off his horse. When they got to him they reckoned he was dead due to a bloody wound where one of his eyes was so he was placed on a pile of bodies. Fortunately someone saw him move.....yep he was still alive. He was invalided to a troopship to Egypt and then home to NZ. He was in a lot of pain and a famous Scottish surgeon in NZ (name escapes me) decided to investigate and in the theater discovered the reason for his pain. There was a ruddy great bit of the shell lodged in his eye socket!! She still has this bit of shrapnel and let me tell you its really heavy. Unfortunately he died before she was born but she was so interested in the story she ended up studying WW1 history and Gallipoli in particular. She had an amazing photograph of her Grandfather on his horse before leaving NZ. 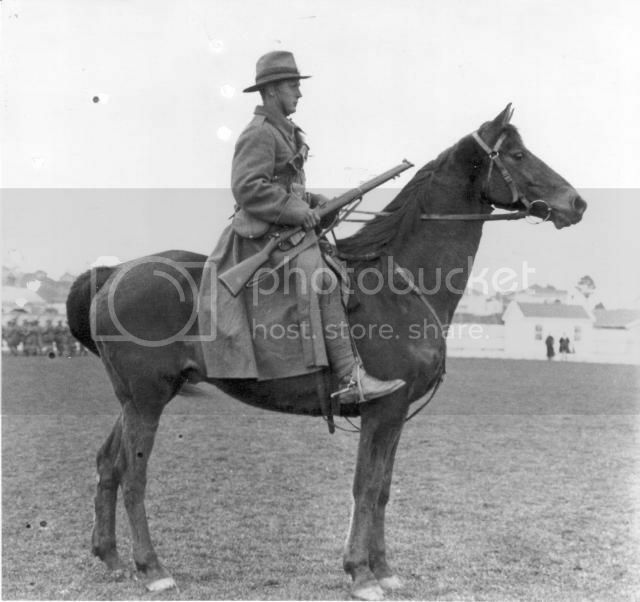 My Grandfather served with the New Zealand Mounted Rifles (NZMR) as part of the Auckland Mounted Rifles (AMR). Originally a Waikato boy, he had joined up at the outbreak of war along with his personal horse 'Lancewood'. They both sailed for Egypt and Gallipoli where he became 'dis-mounted' for his part of the ANZAC campaign on the Gallipoli Peninsular. 'Lancewood' was re assigned to another trooper and went on to participate in many battles across Sinai and Palestine with the NZMR including the attack on Beersheba, until eventually he was killed along with his rider in April 1918 following a Turkish ambush as they pushed north into Amman. There's a lot of history in the Beer Sheva area eh John? You don't have to go far to find it either. The 12 of us that worked on the SAFE Air/ATSI Skyhawk project when I was there, visited the same cemetary on ANZAC day 2002. 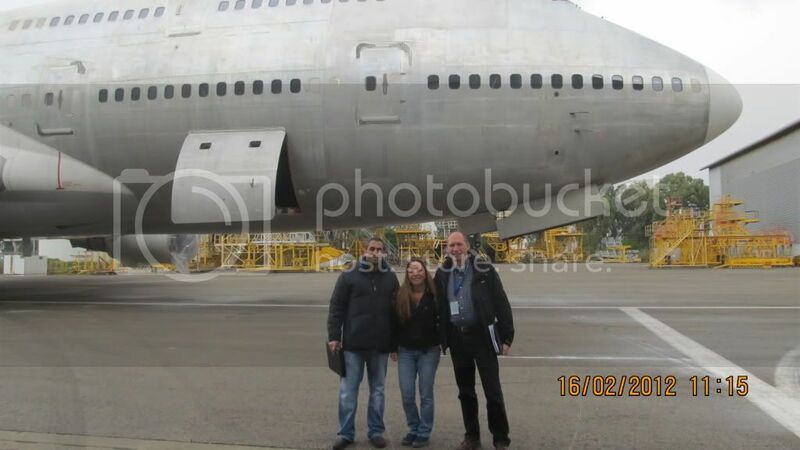 During the four months I was in Israel, I hired a C172 from the airfield between Beer Sheva and Gaza. That airfield still had several WW2 Spitfire bunkers that were completely intact. I must scan and post some photos of the place. Back then the 172 was 400NZD per hour! We flew from Beer Sheva across to the Dead Sea for a close up look at King Herrods Masada fortress before carrying out a touch and go on the Dead Sea airstrip. The strip is at the lowest point in the world with an elevation 1246 feet BELOW sea level. That confused the hell out of the altimeter! The flight was VFR but had to be flown VOR to VOR along strict tracks and deviations had to be approved by ATC. The consequences of getting it wrong were pretty serious! Enough to make your VOR tracking improve somewhat then Al? Great thread harvard 1041, thanks for posting these very interesting photographs. The history of the NZMR and ALH is very interesting. Since this visit have been reading a bit about the battle - man alive were these guys tough - just unbelievable. Also of interest in the Cemetery are three soldiers with VCs buried. Lt Colonel Maygar - an Australian. Photo of our Team here at work. Hi - here's the shot I took of your Great Uncle's headstone - Trooper TR Kennedy - what can you tell us about him ? A bit more on Tpr T.R Kennedy. Marlborough Express - Article on Kennedy's death.